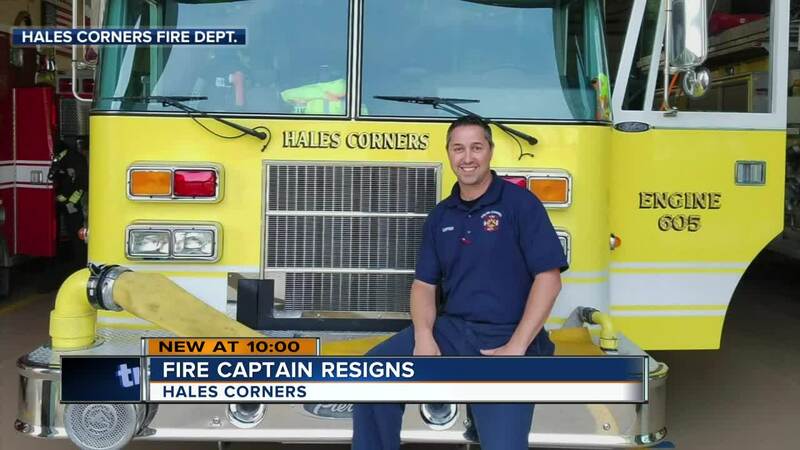 A Hales Corners fire captain accused of sexual harassment and abandoning a shift resigned hours before his scheduled appeal hearing Tuesday night according to Hales Corners Fire and Police Commission President Ian Thomson. Thomson said former Fire Captain John Wagner submitted his resignation letter on the same day he was supposed to testify in an effort to keep his job. TODAY’S TMJ4 was first to report that the Hales Corners Fire Department didn’t have a single firefighter on duty who could operate a fire engine on the same January day that there was a car fire on Highway 100. The Greendale Fire Department had to put out the flames. The Hales Corners fire chief said Wagner was to blame for the scheduling error. Abandoning a shift was just half of the investigation into Wagner. A 19-year-old female firefighter claimed Wagner sexually harassed her at the fire station in December. Wagner was originally suspended with pay while the police department investigated the claims. However, Village President Dan Besson said Wagner agreed to no longer accept payment from the village while he was on administrative leave. Documents we obtained show that agreement was filed in late February. The January incident is just the latest Hales Corners staffing issue TODAY'S TMJ4 has uncovered. It started last summer by revealing the department's low part-time pay of $11.25 an hour. Then, last Labor Day, the department only had one fire fighter on duty.